"Mick & I have been coming to your salon for........a long, long time. Years & years! Sue has always fitted us in @ short notice & continues to do my hair every 3 weeks (cut & colour)." "First time customer but I will definitely be back. Thank you Abby." "Love Nirvana, homely but always professional, friendly and do an awesome job every time, they listen to what u want. Highly recommended!" "I have been going to Tanya for 18 years she always gets it right. All the girls at the salon always make me feel like I’m the only one in salon." "Always friendly staff and a great vibe to the place." "Sue actually listened to what I wanted and understood where I wanted to go with my hair. Advising me on what she thought would be best for my hair. Loving the haircut." "I never leave Nivarna disappointed." "As also outstanding service. The staff are all professional, friendly and will go that step further to ensure that a good experience is achieved. My colour and cut are always exactly what I have asked for. The coffees and head massage are an wonderful extra." "I can’t express how amazing I feel after my visit to salon Nivarna. Tanya worked her magic and did a colour correction I’m absolutely thrilled with my result. Tanya is a true specialist and her passion and enthusiasm for hair shows through her amazing work. I appreciate the time effort and work that went into my hair." "Was so wonderful to walk in with the window I had away from my two toddlers to have the friendly welcome, beautiful hair cut, and a laugh. Thankyou!" Love Nivarna it's my time for total relaxation and pampering by Tanya who does a wonderful transformation from when I first walk-in, to when I leave. All staff are friendly and welcoming. Thank you. Sue is my colour angel!!! Never a bad colour. Great head massage and not too much chatter!!! I would gladly give 10 stars. Beautiful haircut and colour by excellent friendly staff. Love them all, they are the very best handpicked staff. It is always a pleasure to get my hair cut and coloured at Nirvana. I can sit and relax with a coffee that one of the girls makes for me. A time to reflect on what has happened since my last visit. Always a willing ear to listen. I have been a client since Tania opened and have never had a bad experience. 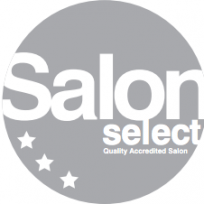 The best salon in Springwood! As always, perfection, what can I say!! Great atmosphere, talking, laughing everywhere!! 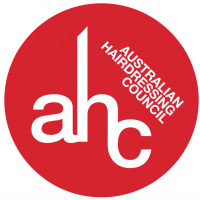 We are all about healthy hair and healthy colours. We’ll give you a game plan and achieve what you want. We listen and care! © COPYRIGHT 2019 NIVARNA. ALL RIGHTS RESERVED.